Swearing and cursing at your Mac won't bring back all your files and folders in the event of a system failure. All Mac owners know that a backup of all your data is the only thing that will put this right. CMS Products' automatic backup system (ABS) includes all you need, in the form of either a FireWire or USB 2.0 hard drive and BounceBack Professional software. This combination that we're reviewing includes the 60GB hard drive, but different drive sizes are available right up to 160GB. Alternatively, if you already own an external drive, you can buy the software as a standalone product ($69/£35) and save some pennies. Very few Mac owners bother with data backup regimes beyond just copying individual files and folders to an external drive manually or plonking them on a removable disc every now and again. This package will help some people in that it's so simple to use, and the hardware and software are well matched. The FireWire drive in our set comes with its own carry pouch and draws its power from the Mac, so it's a good option for a laptop. The software is easy to install, although it needs some time to size up the target Mac's system during installation. Our first backup took just under 38 minutes. The interface is a doddle to operate and it has a clear and quick set-up guide. Subsequent backups are much faster as the software only looks for recent changes to your files. The restore function works well, although you might need to dip into the manual to figure out what a 'backup set' is. As a package this works well. 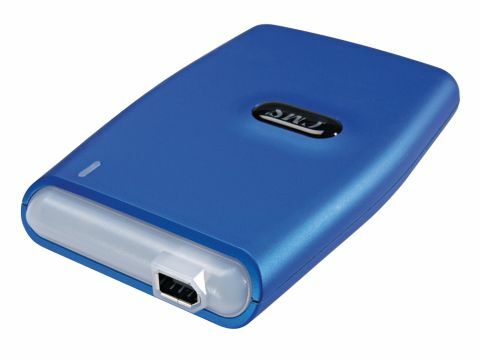 However, the drive is quite expensive compared to other pocket drives. Our suggestion, if you are looking for some backup tools, is to consider the BounceBack software but to shop around for a larger, cheaper pocket drive to go with it. Most third-party drives are compatible.